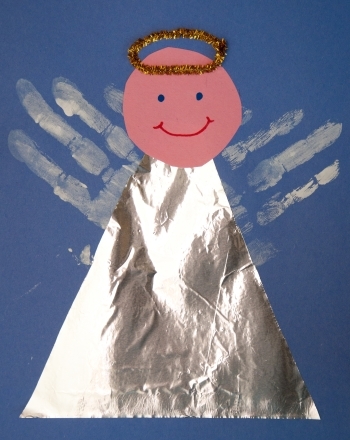 All your preschooler needs to create a personalized Halloween memento is her two hands and some black paint. 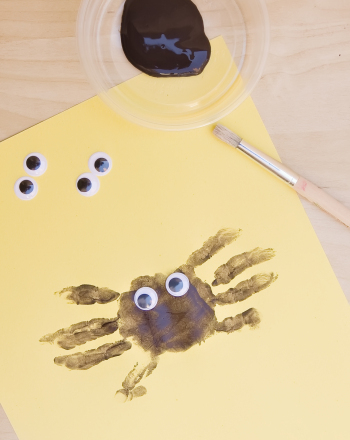 Spend a crisp autumn afternoon making handprint spiders with your little one. 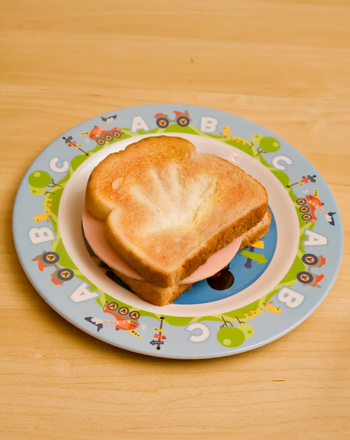 You’ll develop your child’s number sense while she enjoys the feel of slippery paint between her fingers. 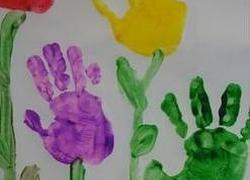 Help your preschooler paint her palms and fingers with black paint. Do not put paint on her thumbs. Let her press her painted hands on the paper with her fingers spread apart and the base of her palms touching. The handprints will look like a spider with eight legs. Help her count the number of legs on the spider. How many legs does her spider have? How many legs do real spiders have? If insects only have six legs, can a spider be an insect? 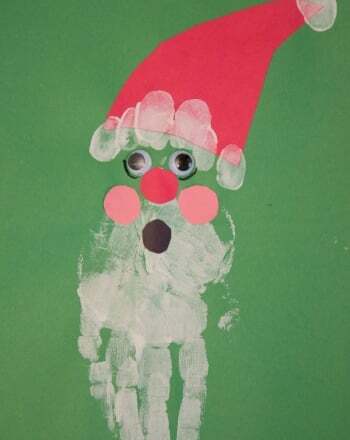 Help her glue google eyes or use crayons to colour eyes at the top of the handprint spider. Use yarn to make a web for her spider. Help her make concentric circles of glue around the spider. Cut pieces of yarn and let her press the yarn on to the circles of glue. Help her glue lines across the circles, creating a web design. 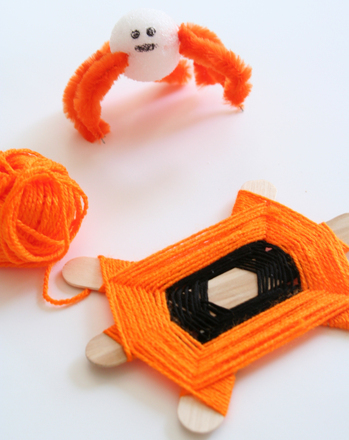 Cut yarn pieces and let her press them to the lines of glue. The final product is a sweet spider and web, commemorating your little one’s hands this Halloween season. Take a morning walk and go on a “spider web hunt.” Spider webs look especially amazing when covered with morning dew. Talk to your preschooler about the web and its purpose. Isn’t it clever of the spider to build a web to catch breakfast? Look for the circles in the web and talk about the shape. How many circles can your preschooler count in the web? 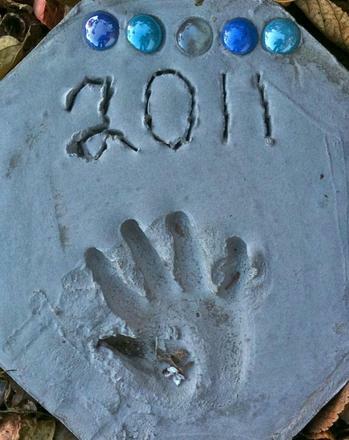 Immortalize your child's handiwork by creating a cement handprint craft. 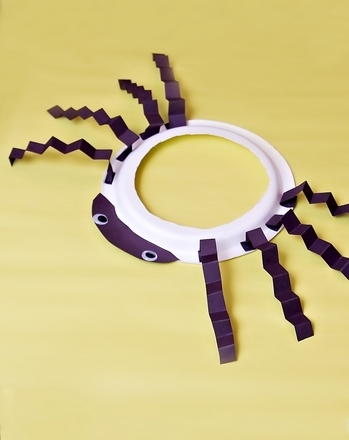 This spider hat activity challenges your child to learn about spiders and improve fine motor skills. Make a spider hat with your child on Halloween or any time. 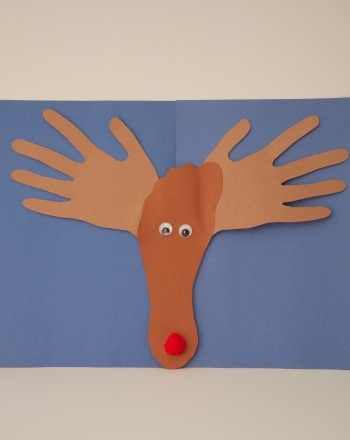 Your child can even get a little introduction to poetry as she sings "Itsy Bitsy Spider".